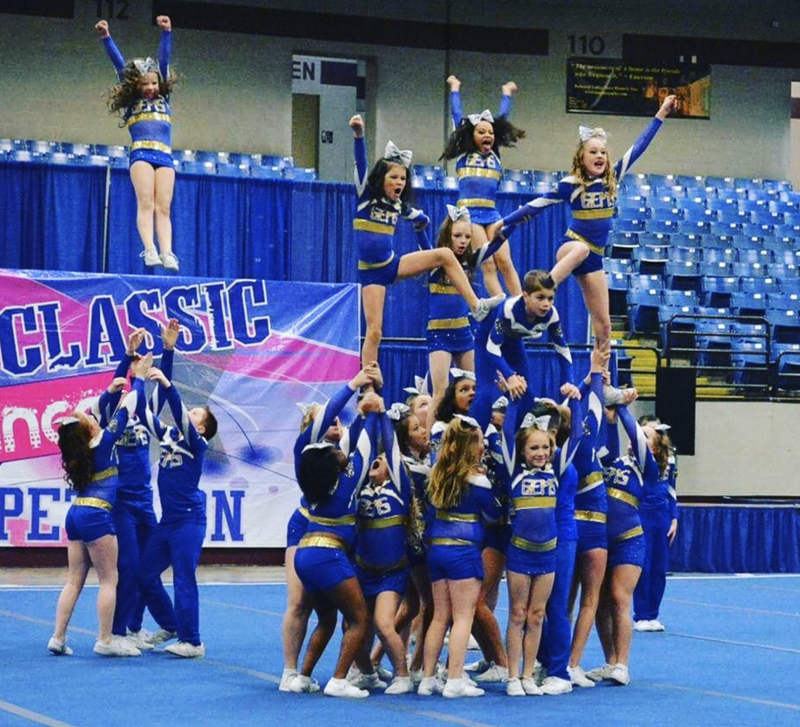 Gold Medal Gyms Team Cheerleading programs offer competitive cheer squads who wish to develop cheer skills while participating on a competitive team. Team members not only learn routines and stunts, but also develop leadership, dedication and positive sportsmanship. Cheerleaders train year round to perfect a choreographed routine and compete in specific divisions split by age and difficulty levels 1 thru 6. Each athlete is an integral part of the team and trained to develop their individual skills to reach maximum potential. Cheerleading is one of the fastest growing sports among youth today. Not only is it a great way to keep athletes active, but it also promotes teamwork, develops confidence and interpersonal skills, as well as encourages a healthy lifestyle. Jumping, dancing and tumbling teach coordination and provide cardiovascular exercise while lifts and other acrobatic moves enhance strength and flexibility. Athletes learn to work together in cheer, which helps them to trust others, assert themselves and get over their shyness. 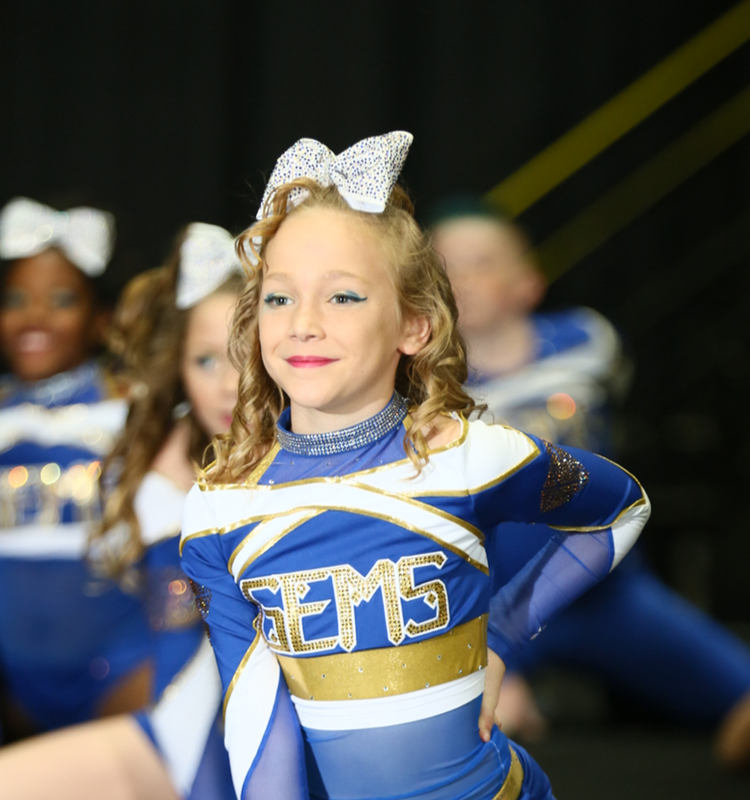 Gold Medal Gyms is the premier all-star cheer program, designed to teach athletes the fundamentals of cheer and tumbling. We offer a variety of ways to participate, from cheer classes and tumbling classes to private lessons and competitive all-star cheer teams. Gold Medal Gyms strives to build teamwork, respect, dedication, and sportsmanship through athletics. We believe that all children are athletes and, through practice and training, can reach their maximum developmental ability. Gold Medal Gyms shared a post. Did you know that we have Pre-School Open Play every Thursday at 11 am?!! Come join the fun tomorrow! Gold Medal Gyms shared a link.